Specializing in residential real estate in Wayne, Oakland, Livingston and Washtenaw Counties. We are a mother and daughter team with more than 30 years of combined experience bringing happy families home. 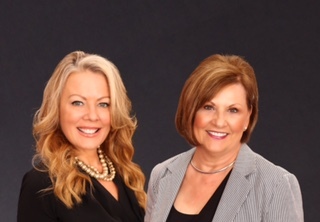 With The Steuwe Team, you have two highly experienced Realtors on YOUR team. They are at the top of their field with their extensive knowledge and experience of the market, but what really sets them apart is who they are. Jo and Jennifer are WONDERFUL to work with! They are very personable, reliable, and just a blast to talk to or be around! It's quite rare to meet a team that is both at the top of their field, and a pleasure to work with!